The days are finally getting colder. 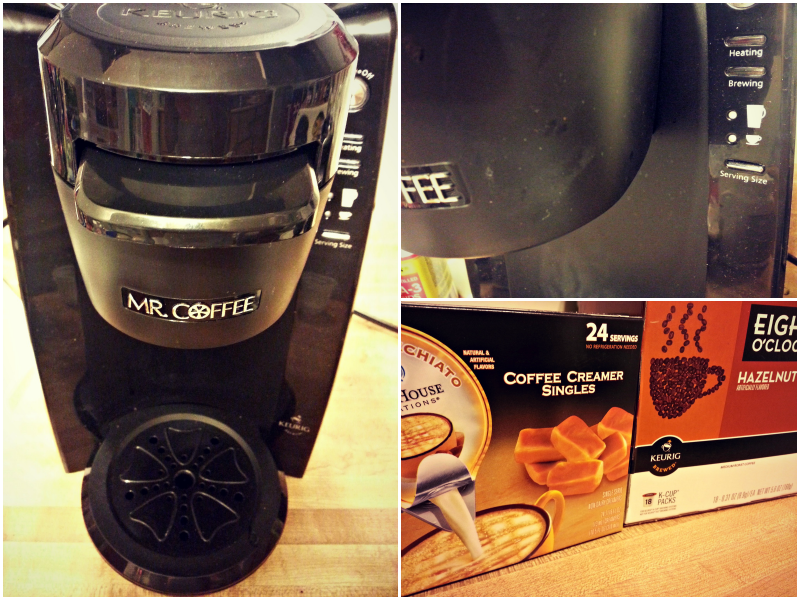 Although I'm not a big coffee drinker, this Keurig was gifted to me just in time for the chilly mornings. I've been using it for a week now, and I'm starting to love it more and more. Hot and delicious coffee made in just seconds! All I do afterwards is add my creamer of choice (because drinking it black is a wee bit strong for me), and it's ready to go. my mom is getting one of these for Christmas, and I can't wait to play with hers! I think that would be perfect for my mom! It's so cold in the bay area.. lol!